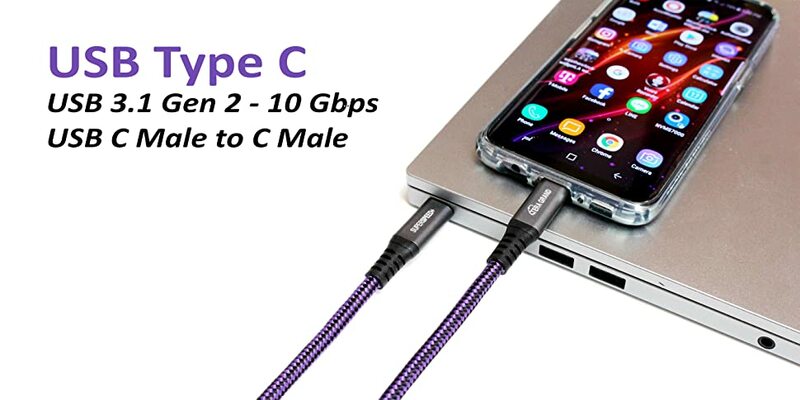 USB 3.1 Gen 2 C to C Braided Cable with Aluminum Housing, 10 Gbps, 3 ft.
USB 3.1 Generation 2 USB-C to C Braided Cable with Aluminum Housing, Supports 10 Gbps, 3 ft.
USB-C is the future of USB Connectivity. This Adapter is capable of transferring data at speeds of up to 10 Gbps with a power delivery capacity of 3A. New USB 3.1 transfers data at speeds at up to 20x faster than USB 2.0. Built with high quality Nylon fiber jacket provides higher durability and increased flexibility. 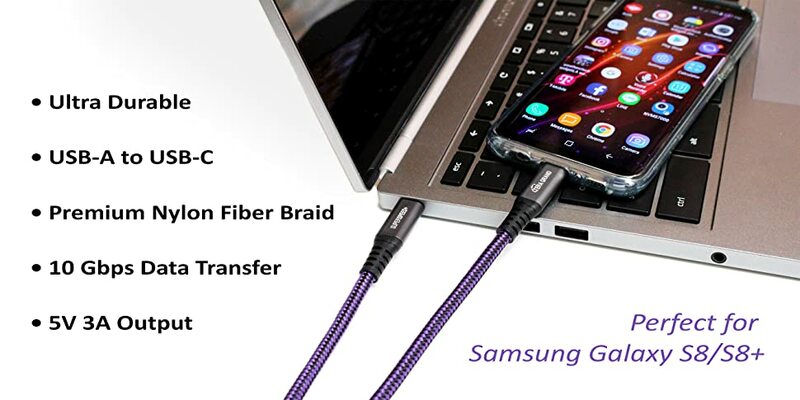 Perfect for your Apple Macbook 12 inch (2015), Google Chromebook Pixel (2015), Samsung Galaxy Fold, S10 / S10 Plus / S10e, S9 / S9 Plus / S8 / S8 Plus, Galaxy Note 9 / 8, Google Pixel 2 / Pixel 2 XL, LG V30S ThinQ, V30, G6, Nokia 8 Sirocco, Nokia N1 Tablet, Sony Xperia XZ2 and XZ2 Compact, XZ and XZ Premium, Asus ZenFone 5, OnePlus 5T, Motorola Moto X4, Nintendo Switch and future Tablets, Smartphones, and Computers with a USB Type C Port. XLR Male to XLR Female Microphone Cable, 25 Ft. 3.5mm Stereo Male to Male Audio Cable, 6' DVI-D Dual Link Male to Male Cable, 25' RCA Female to 2 x RCA Male Y-Splitter Cable, 6"